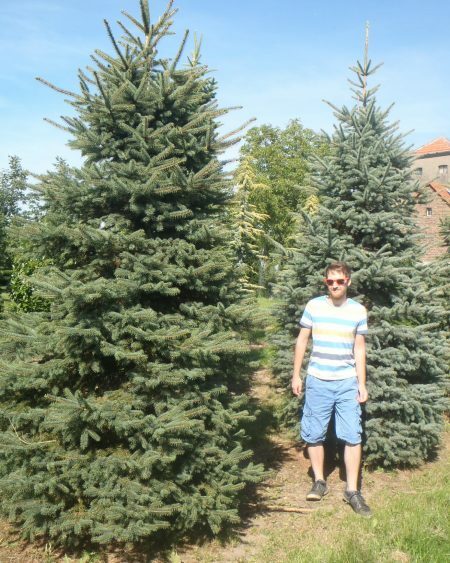 Picea pungens Glauca is an elegant architectural evergreen tree with blue/grey foliage, which is brightest when first emerging in spring. Blue Spruce is a hardy, low maintenance tree that grows well in moist, well-drained acidic soil, sheltered from cold winds. Their striking colour and medium size mean they work well in town gardens and provide a lovely focal point.